The lava lamp effect was an excellent technique to turn the navigation to a flash like animation. LavaLamp allows you to add nifty background hover effects to HTML lists in combination with the Easing library. 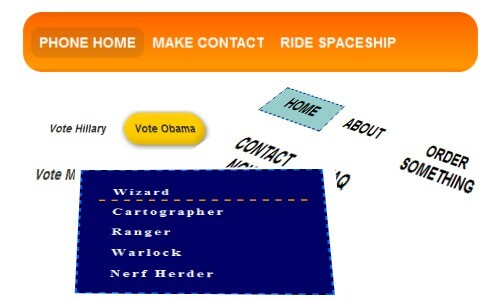 Also, check the Barack Slideshow plugin based on the MorphList plugin for Mootools.